Looking for employment at Milwaukee’s best cupcake bakery? 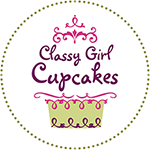 At Classy Girl Cupcakes, we bake fresh from scratch in small batches, and decorate our cakes and cupcakes with homemade buttercream to ensure everything tastes as good as it looks. We cultivate a close knit working environment, and prefer to promote from within. To apply to any of our open bakery positions below, please e-mail your resume, hours you’re available to work each day of the week, and photos or links to your decorating work to [email protected].